Orlando Gibbons – What is our life! 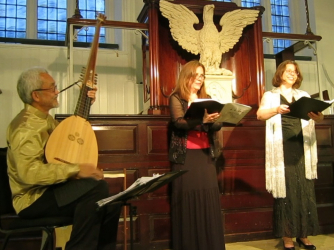 A programme of lute songs and duets marking the 400th anniversary of the death of Sir Walter Raleigh. As well as songs based on his poetry, they include some associated with other significant personages (Queen Elizabeth, the Earl of Essex, Prince Henry to name a few) and with the New World that he was fascinated with. We are thrilled to bring this duet version of a programme premiered in February at the National Portrait Gallery in London to our home venue. Doors open at 2.30pm, tea and cake provided at 4.00pm.